As orientation progresses, we have had more opportunities to engage in more authentic experiences in this amazing country in which we have found ourselves. 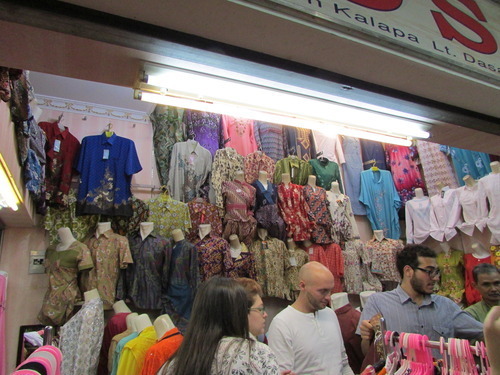 As part of our Bahasa training, we went to a pasar (market). 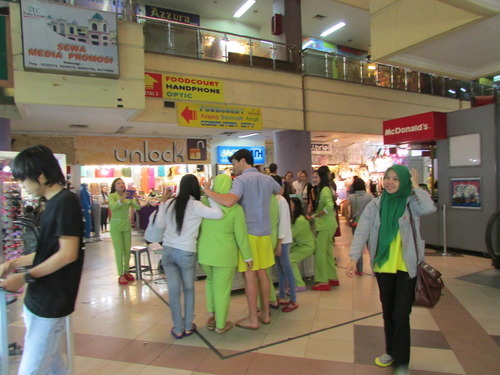 ITC, the market we explored, was not a traditional market, as it was an indoor space where vendors could rent space, but it was an opportunity to utilize our Bahasa in a real setting. Though I stumbled over every sentence I attempted to utter, I did manage to communicate with the vendors to complete my purchases, as I expanded my ever-more-colorful teaching wardrobe. As bule, it seems we have attained a sort of celebrity status, a position I find baffling and more than slightly uncomfortable. Though my privilege as a white American is something of which I am aware, I have never felt the need to be mindful of it more than here, where camera flashes are a constant reminder that I wear a face that mirrors those who colonized these islands for more than two hundred years. Since most of my time has been spent in the bubble of the hotel with my fellow ETAs, I have not yet had an excess of experience navigating the bule phenomenon, but will continue to reflect upon it throughout my grant, and hopefully have open conversations about it at my site. 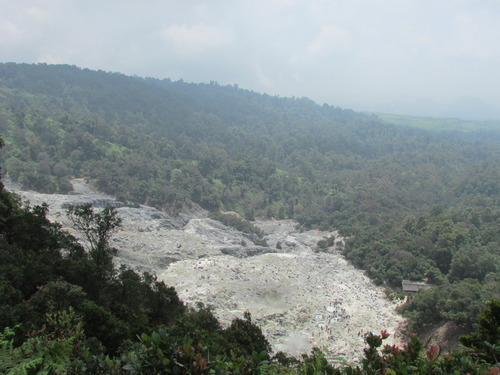 On our free day during orientation, I and many of the ETAs visited tangupan perahu, a volcano outside of Bandung. The name means “up-turned boat” in Sudanese, in reference to the shape the volcano seems to have when viewed from the city. 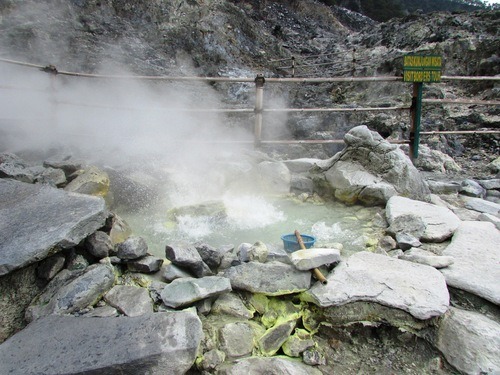 In the crater of the volcano, there are natural hot springs, at which you can receive a sort of mud massage is you so choose. Looking around, breathing in the distinct smell of sulfur, I was overwhelmed by the idea that I was standing in a place where the land had once breathed fire, even as recently as 1983. The waves of heat coming from the springs seemed to me to be Mother Nature’s reminder that she will always hold unfathomable power beneath my feet. As incredible as the volcano was, I believe the hike to and from the crater was my favorite part of the trek. 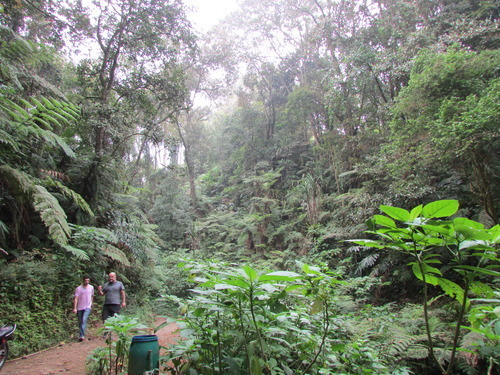 There was something reminiscent of home in walking through the forest and hearing the calls of birds and chirping of crickets that remained carefully out of sight. And yet, it was also very different. The trees and other flora are entirely unfamiliar to me, coming from a temperate climate; even the green here is one I have never quite seen before. Unfamiliar though it may be, it is undeniably beautiful. Following the hike at the volcano, our bus driver—ever patient with his American passengers, most of whom speak very little Bahasa—took us to what he claimed was a traditional Sudanese restaurant, and which turned out to be so much more. Tucked away in a smaller town outside of Bandung, down narrow streets filled with chickens and children, this restaurant was famous for serving kopi luwat, or civet coffee, a specialty coffee made in the digestive tract of the civet, a cat-like creature native to Southeast Asia. The civets themselves seemed to have free range of the restaurant, and weaved in and out of our feet while we ate our meal. The owner of the restaurant very kindly showed us around his facilities and explained the process of making kopi luwat. 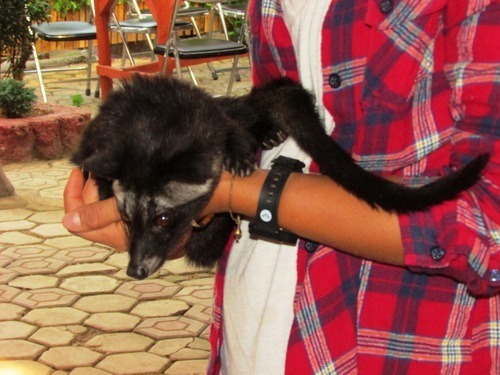 The civets are fed a special diet of papaya, banana, honey, milk, eggs, and coffee fruits. The feces of the civet is then collected, and as the coffee beans are not digested by the animal and therefore retain their shape and inner coating, they are then washed and sorted for quality. I am no coffee connoisseur, but I found that the coffee itself did not have the bitter aftertaste that other coffees seem to, though I was not able to taste any other significant differences. 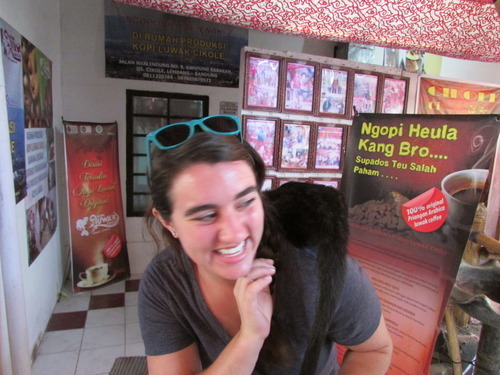 I must say I personally preferred playing with the civet to drinking the coffee it helped produce. 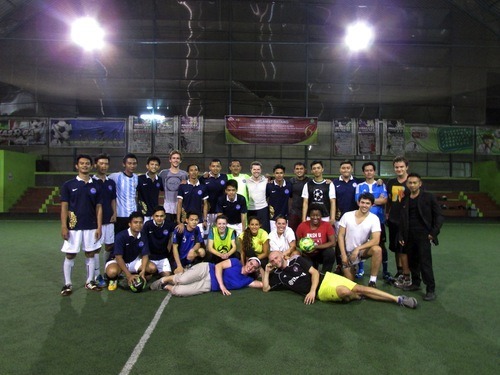 Recently, we also had an opportunity to play futsal (indoor soccer) against the hotel staff. The satisfaction of being completely owned by those who have waited on me hand and foot is indescribable. It was also simply wonderful to step onto an indoor soccer field—something I have not done since high school—and kick around a ball with my fellow ETAs. Though I am excited to finally go to my site and meet my co-teacher, students, and community members, I will miss being surrounded by my cohort. Already, it feels like a sort of family unit, one I wish I could take with me on the next part of this adventure.